The pin is Brand new. It will be sent in a wrapped bubble envelope. 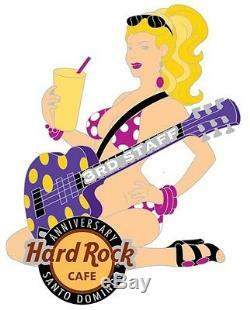 The item "Hard Rock Cafe SANTO DOMINGO 3rd Anniv. STAFF Girl pin" is in sale since Sunday, August 13, 2017.